Beacon Square, 2nd and Pearl Street, Boulder CO. 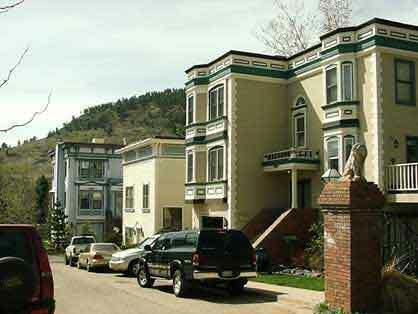 This was a brand new development in Boulder featuring San Francisco style detailing and painting. This project required detailed color coordinating and detail work. Several days were spent coordinating the multiple color palette. Bold colors suggested and chosen to pop out the design. This was necessary to match the owners requirements for the San Francisco design theme. Sutherland Painting Company was the prime painting contractor for the entire composed of several multifamily buildings.